Endoscopic inspection of changes in bladder mucosa is the current gold standard of detection and surveillance of lower urinary tract urothelial carcinoma. Standard white light rigid scope has excellent visualization and is cost-effective but has risk of urethral trauma and missing shadow zone lesion. Flexible cystoscopy is less traumatic and has no shadow zone; however, it has low visual quality and requires longer learning curve. Standard white light cystoscopy diagnoses bladder cancer by visual appearance of suspicious lesion, so diagnostic yields are operator dependent. To overcome this disadvantage, novel adjunctive imaging modality is developed for improved diagnostic yield. Photodynamic diagnosis (PDD) and narrowband imaging (NBI) are promising adjunctive imaging modalities. 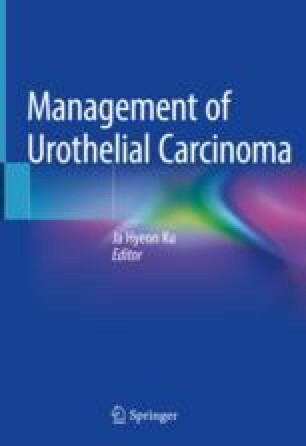 These novel techniques should be useful for diagnosis and monitoring of NMIBC in the near future.